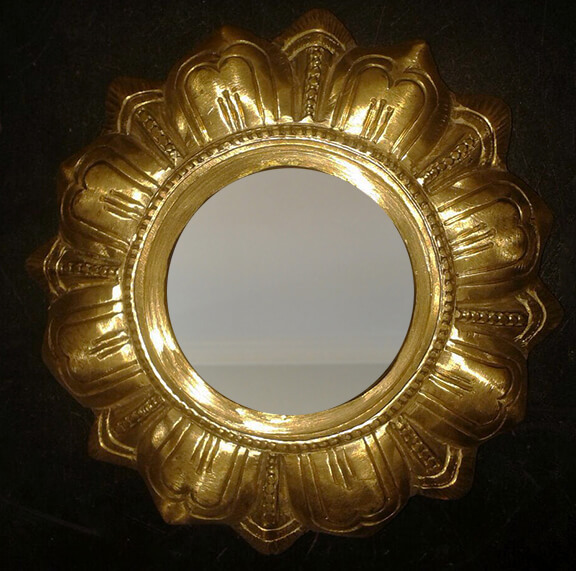 Siri Devi Khandavilli’s work stands at the confluence of two very specific cultures. 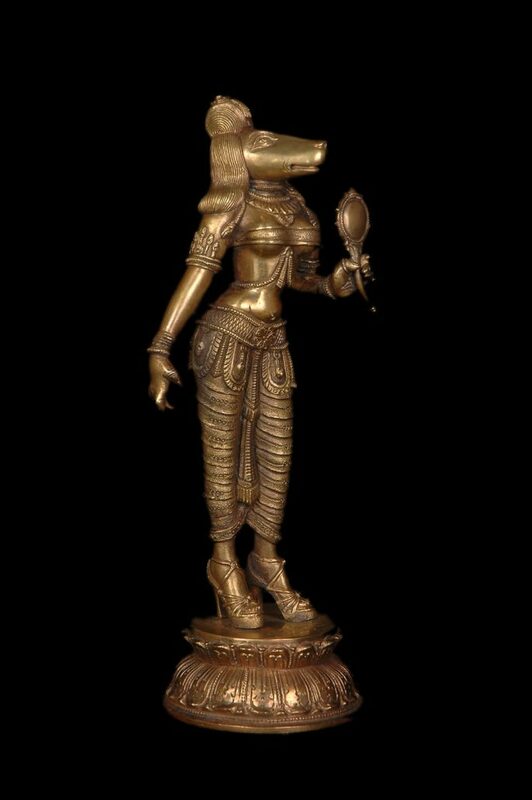 She blends the ancient metaphors and symbols of Hindu mythology and rituals with the customs and gestures of a global materialistic pop culture. 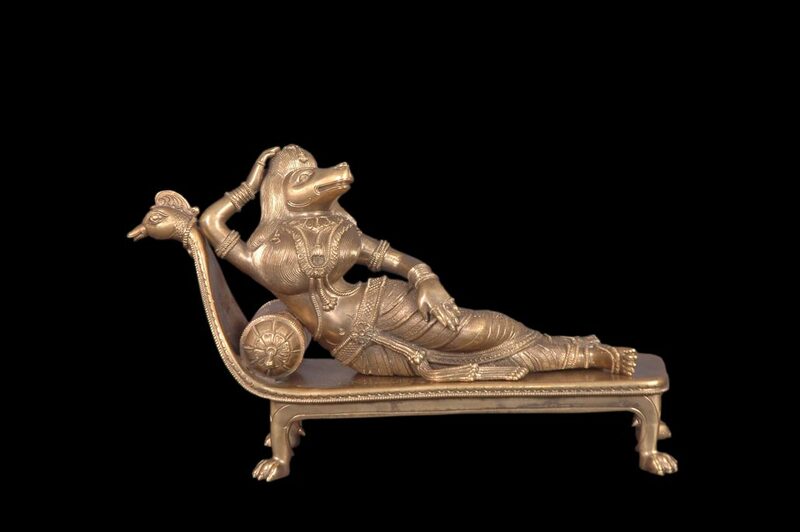 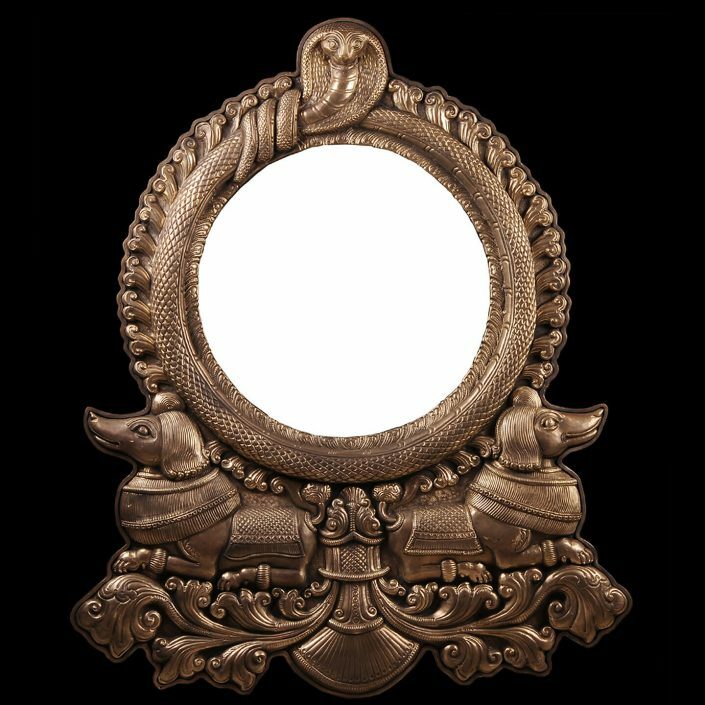 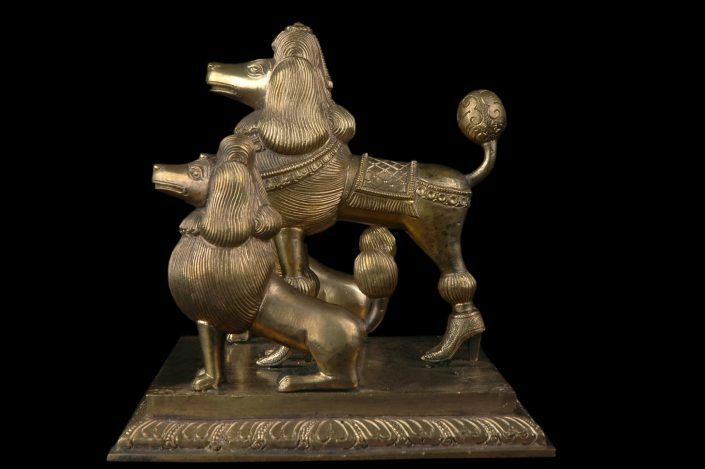 She is recognized for her bronze sculptures of impeccably posed, selfie-taking female figures, and her goddess-like statues each topped with the head of a poodle. 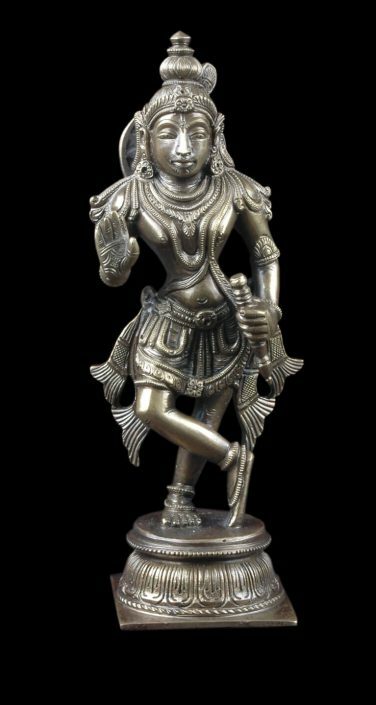 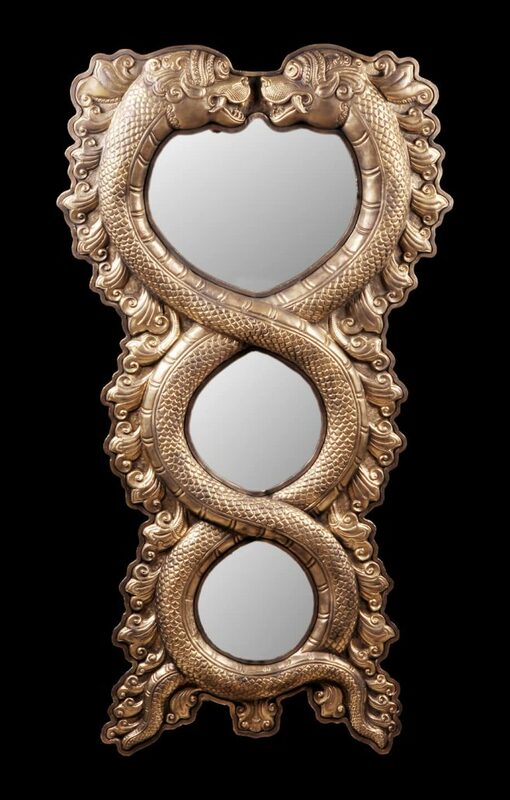 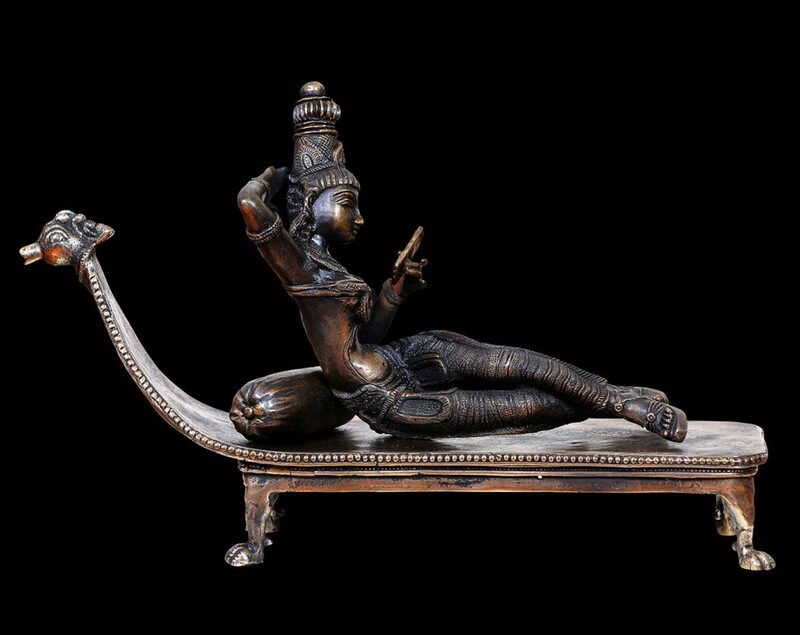 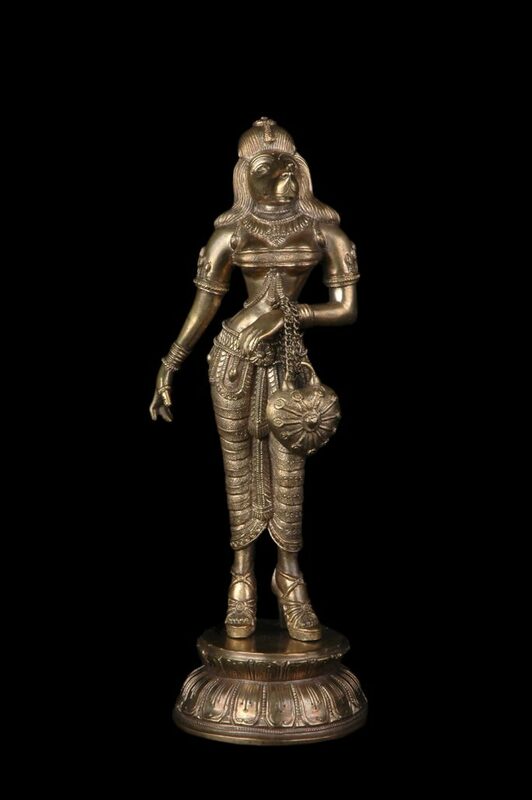 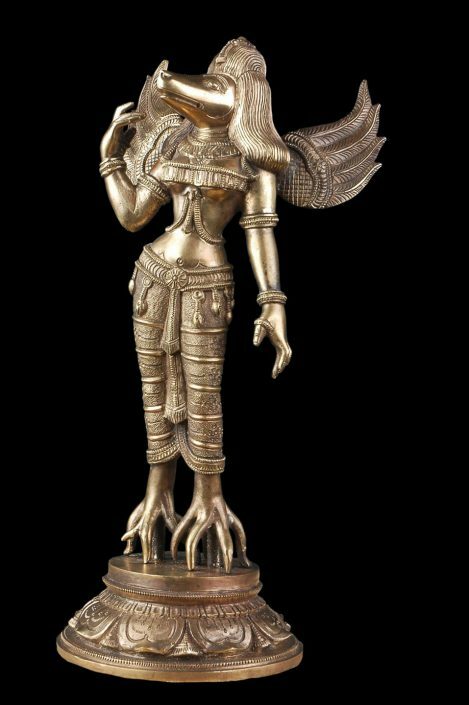 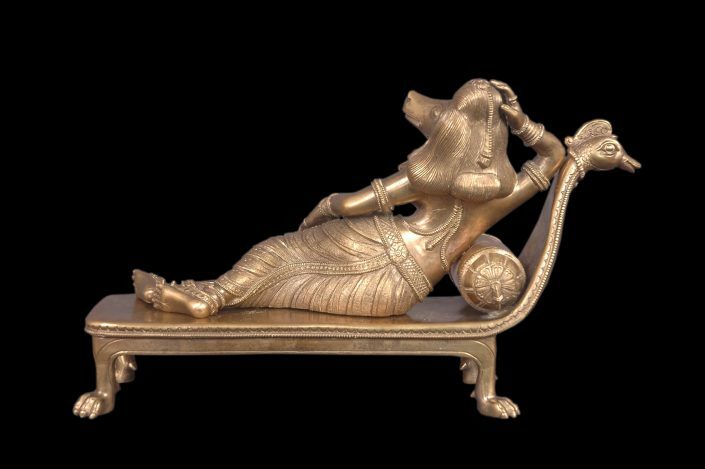 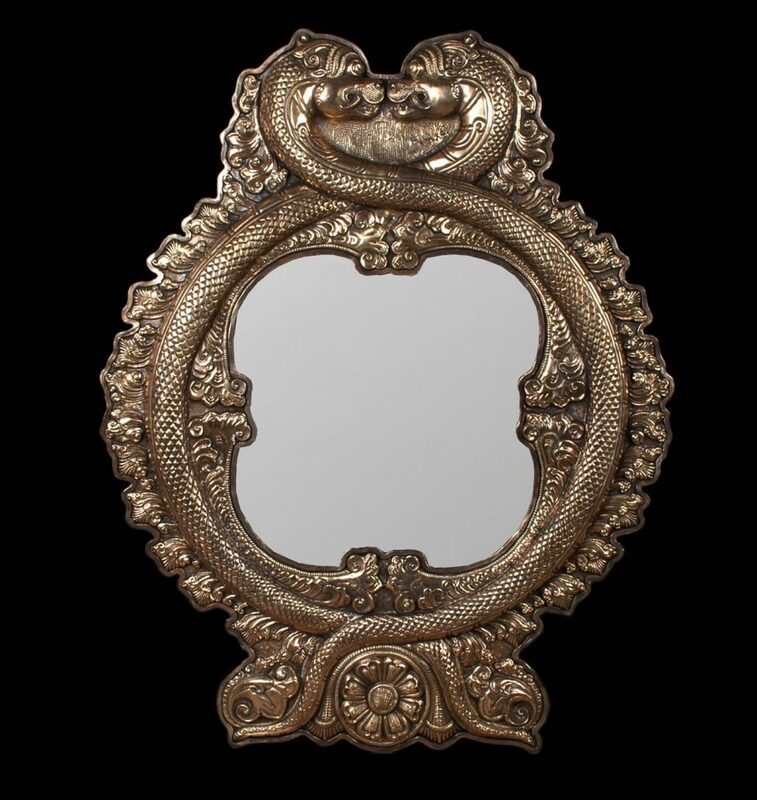 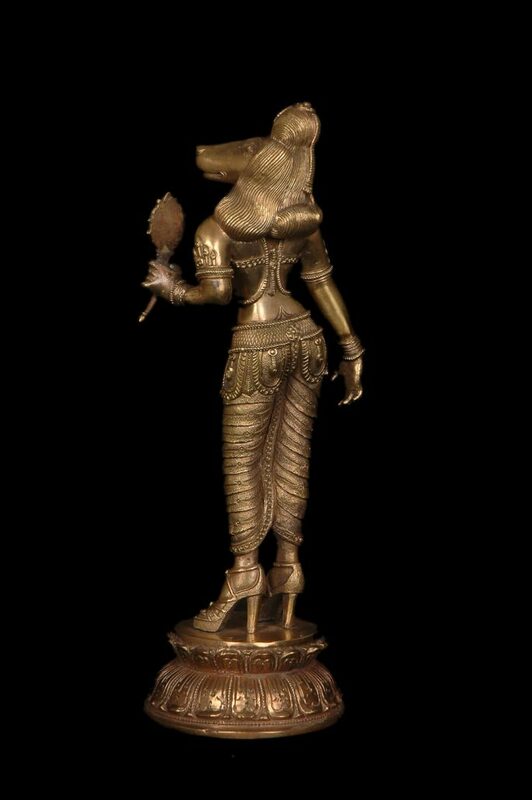 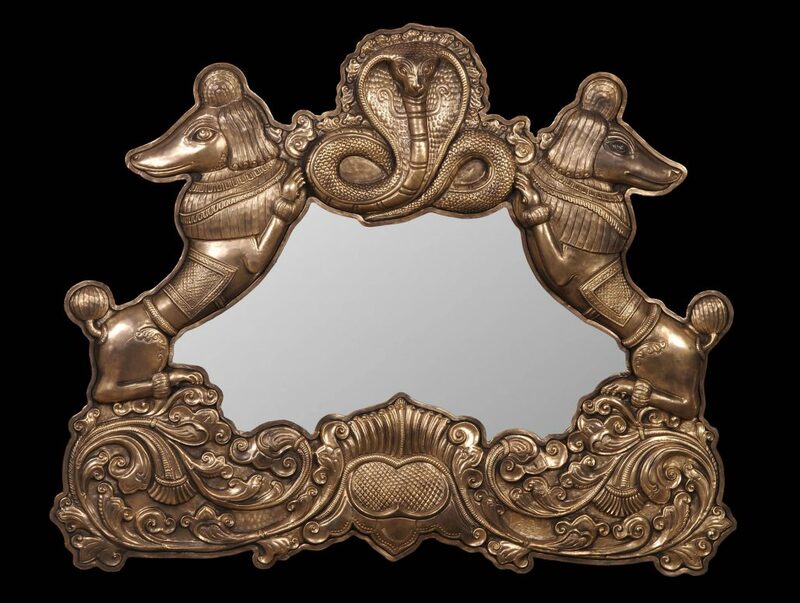 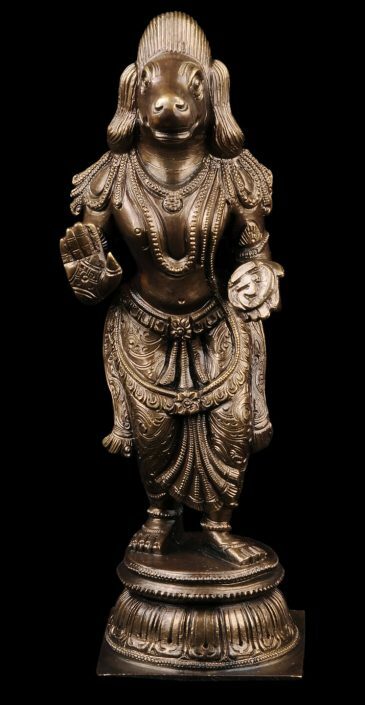 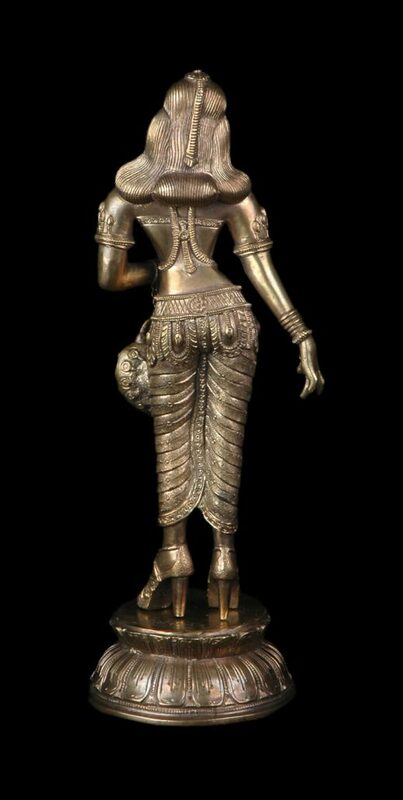 These works use the language of the Imperial Chola style that thrived in southern India from about the 10th to 12th century and depicted Hindu deities with great elegance and sensuality. 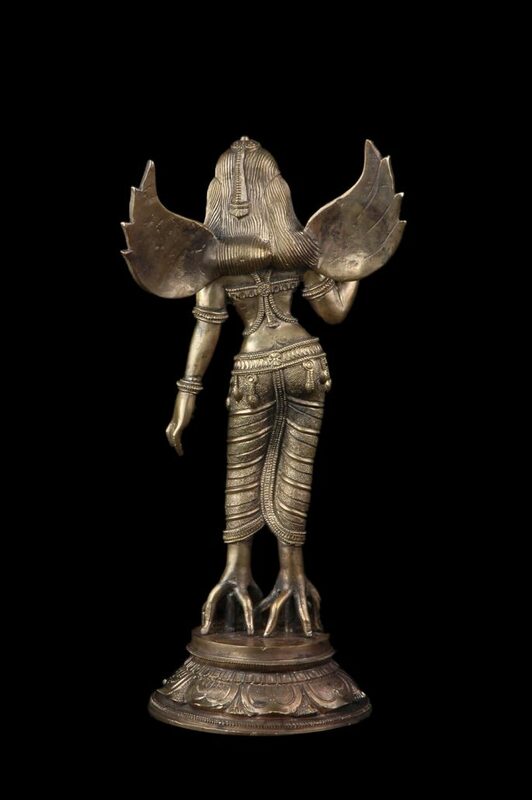 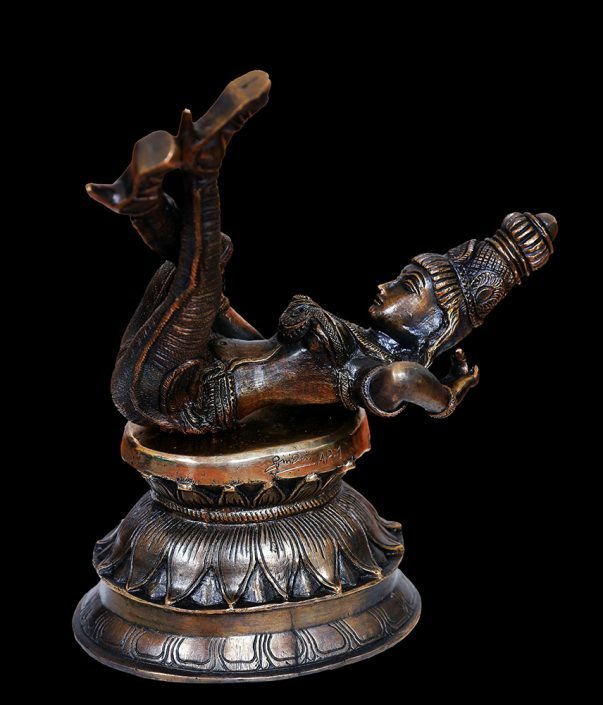 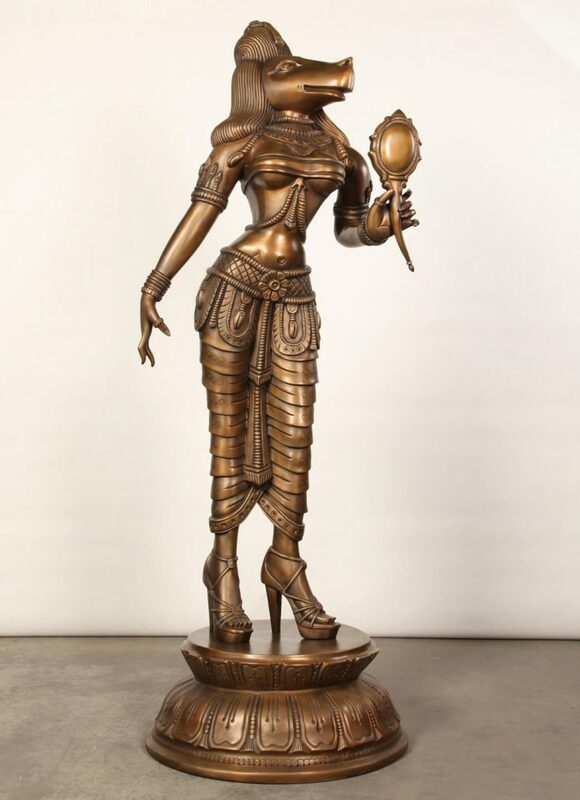 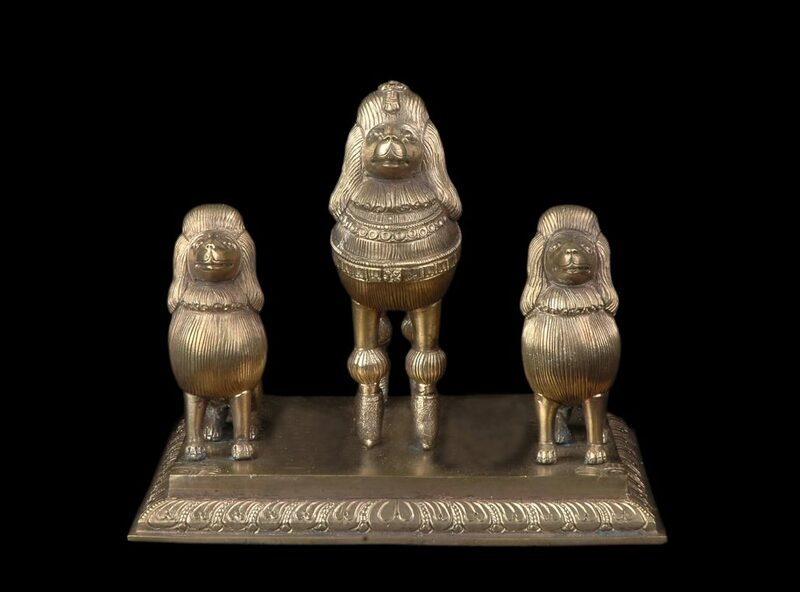 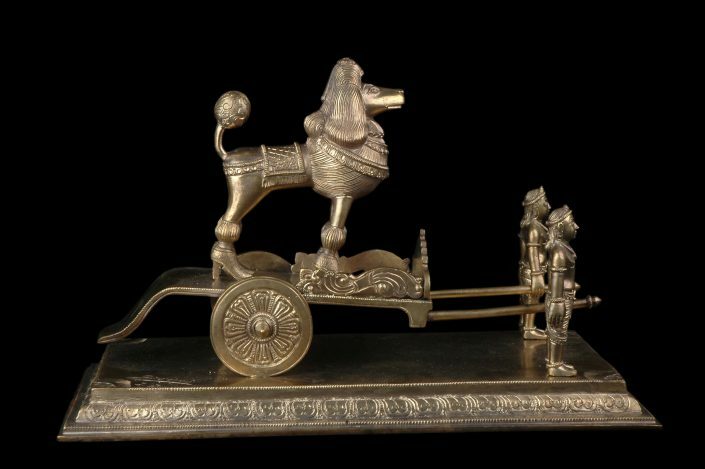 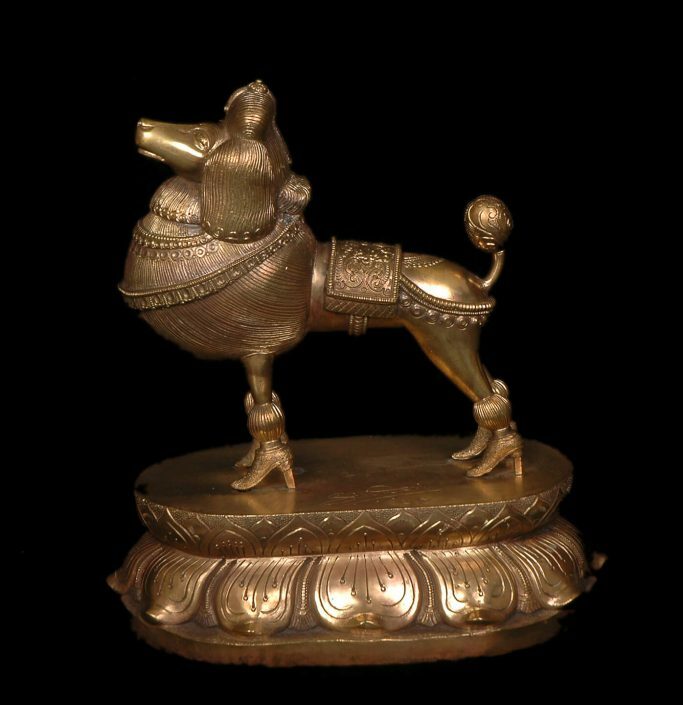 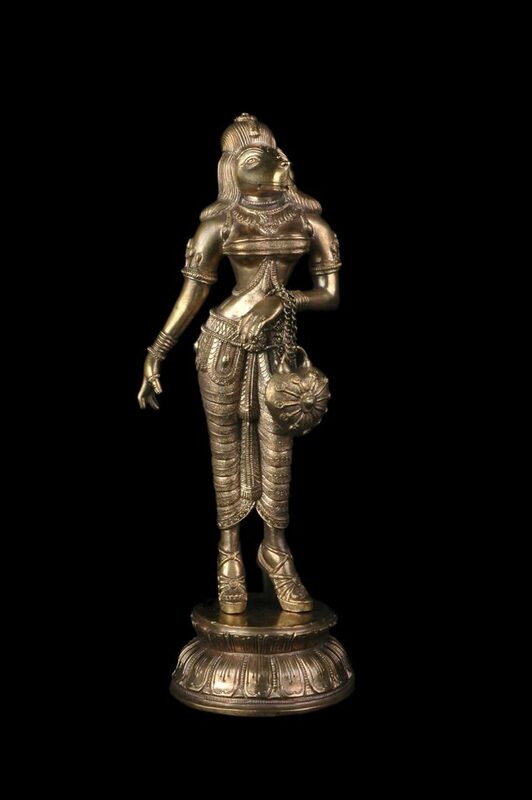 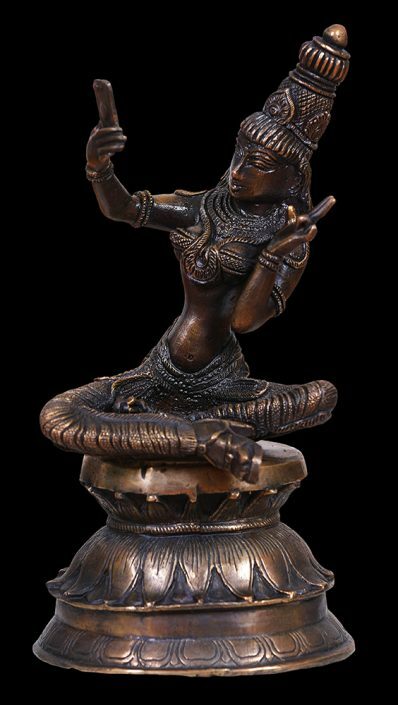 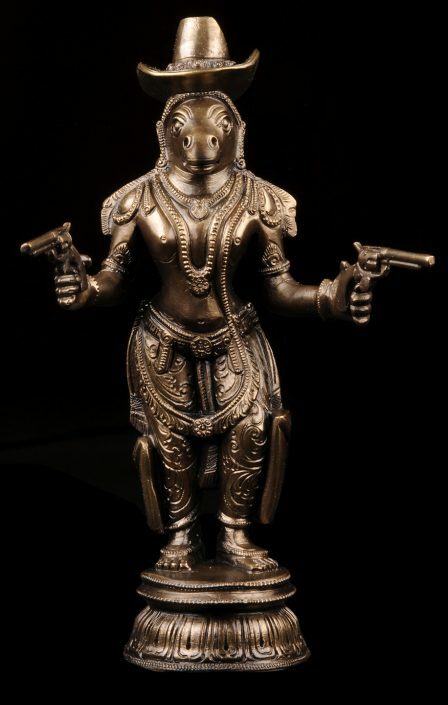 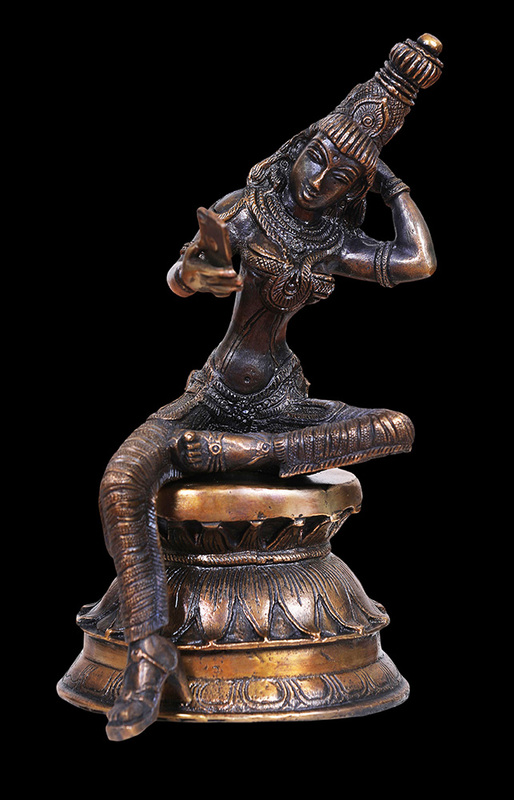 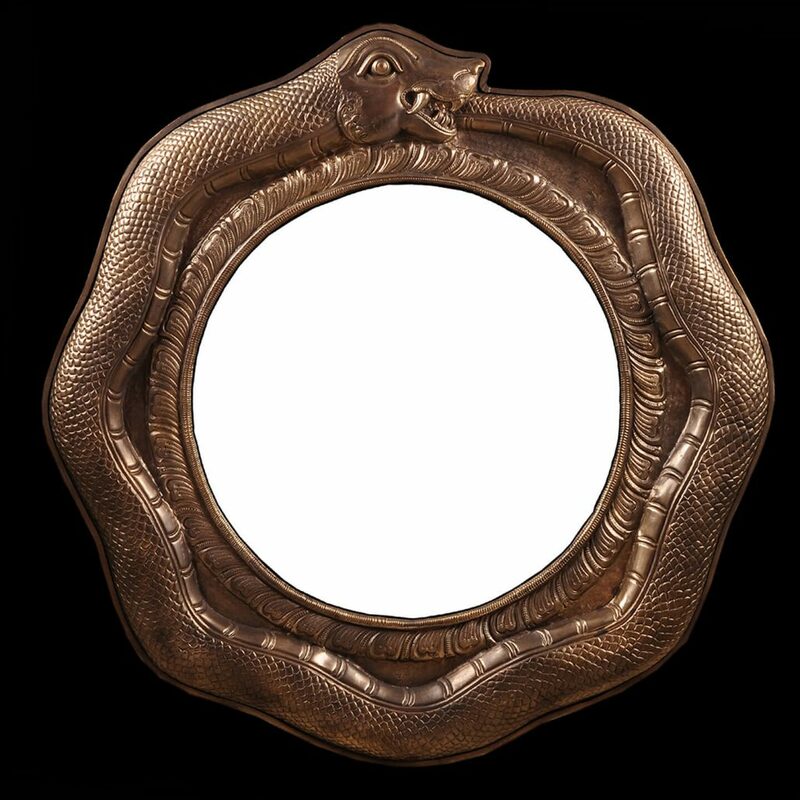 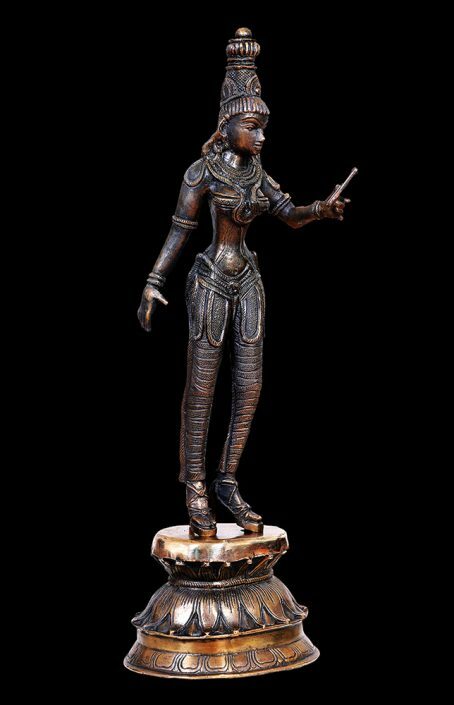 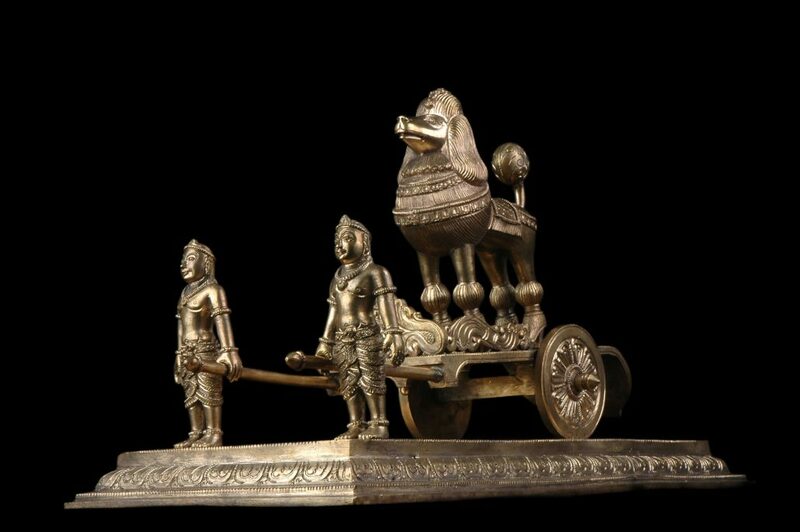 Working with a traditional village foundry, Khandavilli’s sculptures honor the legacy and techniques of Indian art but have a skeptical subtext that juxtaposes the religious with the secular, the traditional with the modern, and highlights the artist’s own hybrid Indian and American identity. The unifying thread in Khandavilli’s diverse body of work, which includes painting, performance, sculpture, video and installation, is her interest in exploring the notion of desire and her curiosity about what affects and motives individuals around a world that is increasingly obsessed with technology and consumerism. 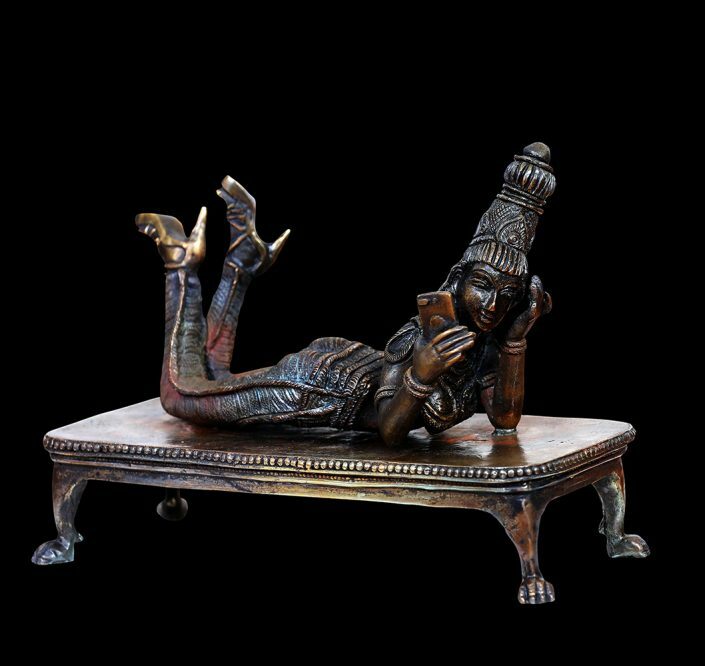 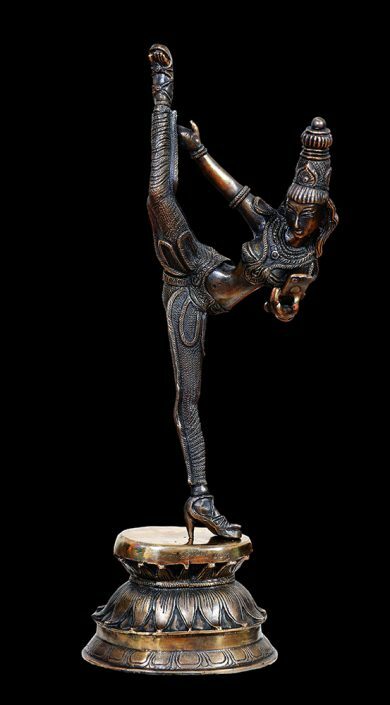 Khandavilli received a MFA in sculpture from Karnataka Chitrakala Parishath in Bangalore as well as a MFA and BFA in intermedia and multimedia from Arizona State University and currently resides in India. Prior to studying at art school in the United States, she was trained in the techniques of traditional Indian painting. Her extensive and broad education has shaped her into a visual artist at ease with various media and forms of artistic expression.